Have a ‘Hoot’ this Valentine’s! Recycled items turns into a Valentine Hoot! Great craft to do with kids about age 5-7 ! 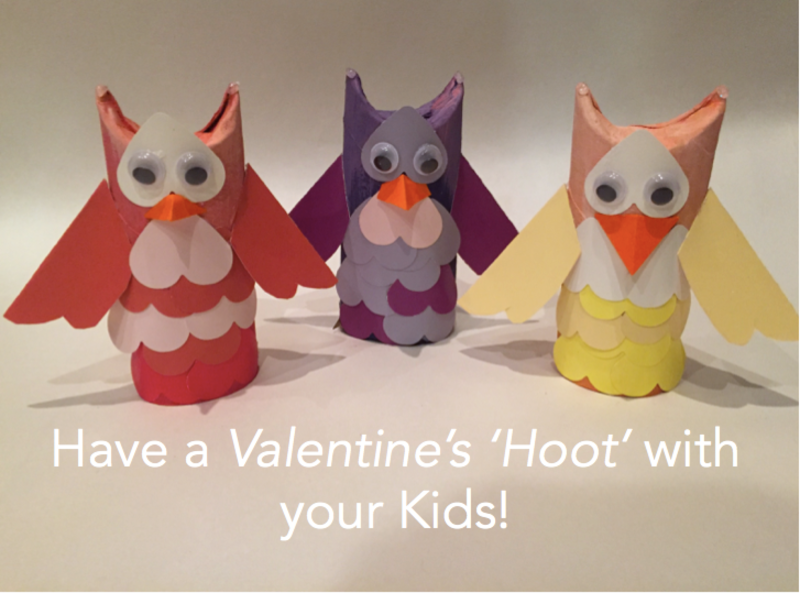 Customize your own ‘Valentine Hoot’ try this little fun craft with your kids using some recycled materials! Store a secret message inside for your Valentine or hide clues to find their Valentine Surprise! 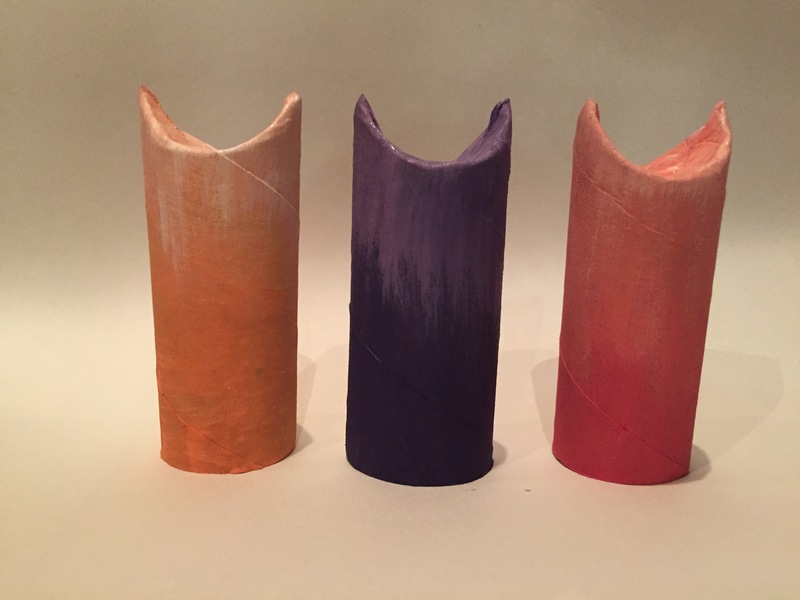 TP rolls just painted with water based craft paints! 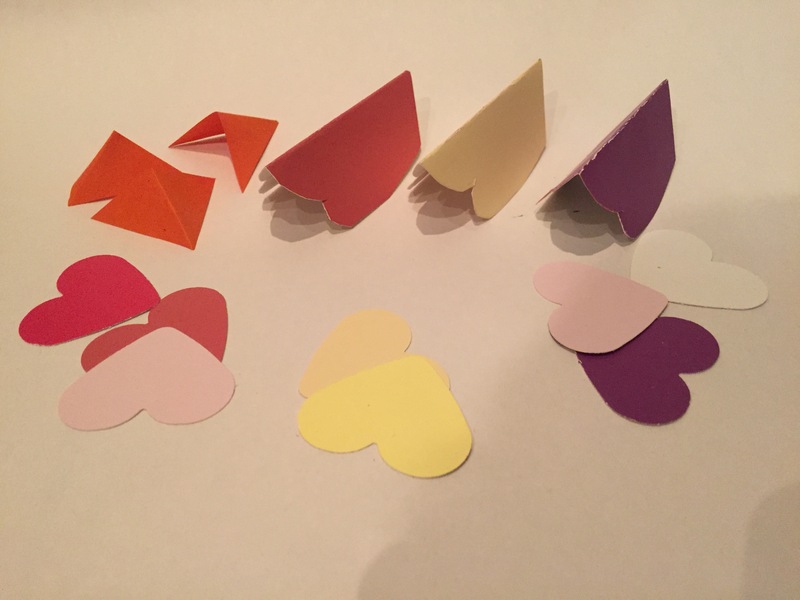 Wings, Layered Hearts & Beaks cut out of paper!